Discussion in 'UTV Chassis & Suspension' started by JoeyD23, Aug 9, 2018. 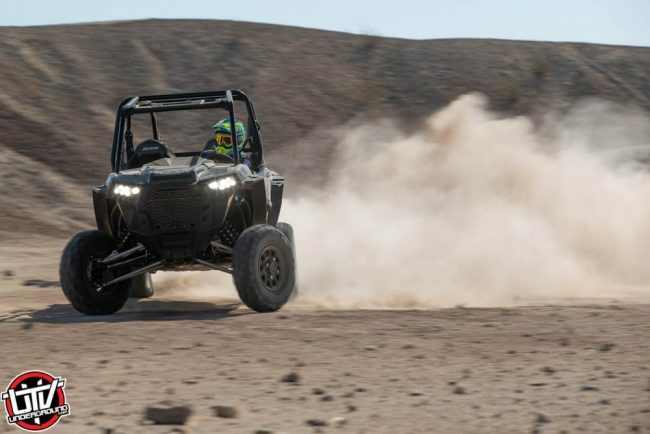 Owners of crossover UTVs such as the Polaris General, Honda Pioneer, Yamaha Viking and Can-Am Defender are looking for a good compromise between a work & utility vehicle vs. recreational play machine. The stock suspension on those vehicles is also a compromise, using hard springs to allow payload with soft shock tuning for comfort. When used for fun spirited riding, this kind of setup makes the suspension feel stiff and harsh initially without providing enough hydraulic protection against big impacts and weight transfers. When used for work or with high payload, the ride will be too soft and will bottom-out easily. Elka’s solution is to provide the optimal spring setup for the driver’s main intended use and adapt the internal hydraulic valving to match the specific needs for that type of riding. The result is a much more comfortable ride that provides increased stability, performance and protection against impacts. We often recommend our Stage 1 or Stage 2 shock upgrades which can significantly improve the ride. Priced aggressively, those options are often cheaper than the OE replacement shocks from the manufacturer while provide all the benefits of a high-quality aftermarket product tuned for your personal needs. 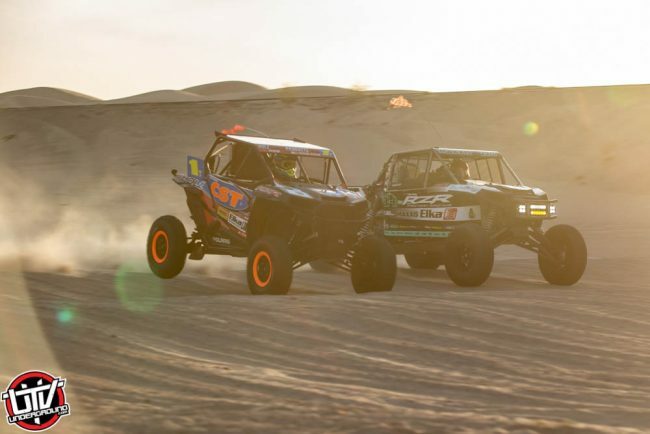 Aggressive drivers and dune enthusiasts quickly reach the limits of the stock suspension, often bottoming hard and lacking proper control of the vehicle. Elka’s Stage 3 and Stage 4 shocks provide the capability and adjustability to unleash the full potential of your vehicle. Both models include an important feature that is often overlooked since it’s hidden inside the shocks; the low-speed compression adjuster integrates an exclusive internal blow-off circuit that provide extra plushness upon bigger impacts. This design is simple, easy to use and highly effective. 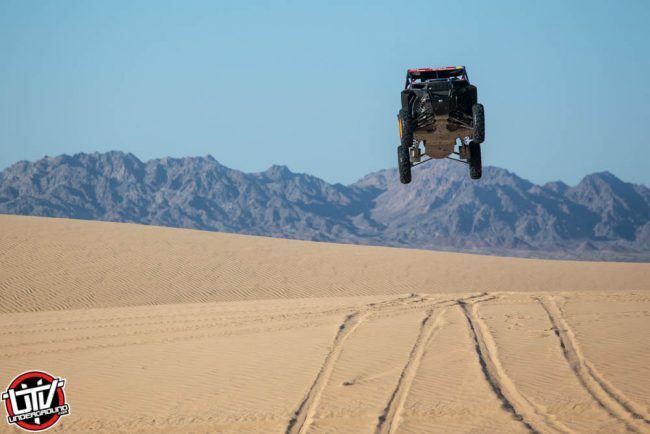 Dune riding in UTVs has some unique needs in terms of suspension. 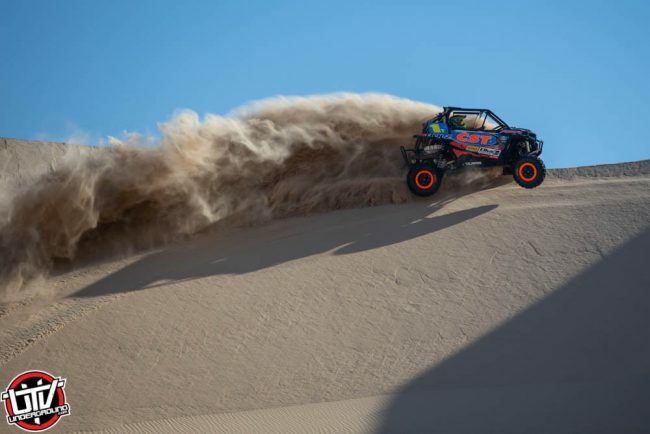 Although sand seems soft on top, driving over sand ripples actually creates high-frequency bumps that can overwhelm the stock suspension and cause headshake and nasty vibration. Transitioning between dunes also requires more hydraulic damping to prevent running out of travel and traction. 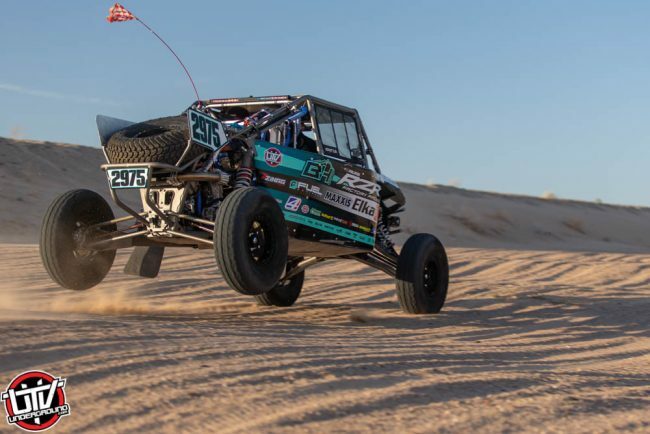 Elka’s dune-specific tuning provides optimal damping both in compression to maintain proper chassis clearance and in rebound to keep those tires driving the power for more efficient climbing. The extra low-speed damping also helps smooth out those big jump landings. Elka shocks can bring new life into an old UTV, but they can also change dramatically the handling on newer vehicles as well. Most drivers don’t believe they need better shocks until they have tried properly tuned suspension. This upgrade provides a night-and-day difference in terms of comfort, performance and adjustability. Developed with top pro racers across multiple racing series such as Mike Cafro (multi-time Baja champion), Beau Baron (multi-time WORCS champion) and Cody Miller (GNCC champion), the Stage 5 shocks are ultra-lightweight, highly tuneable and virtually fade-free.